The first woman to appear in the list of teachers in the LSE Calendar is Gertrude Tuckwell in the School’s second year. 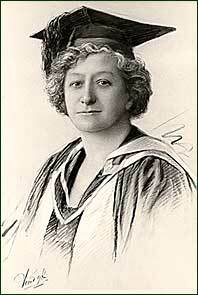 Gertrude Tuckwell (1861-1951) gave six lectures in the Lent term on factory legislation. Gertrude (1861-1951) initially trained as a teacher but through the influence of her aunt Emilia Francis, wife of the liberal politician Charles Dilke, from 1893 she had become deeply committed to women’s trade unionism and employment rights. In 1905 Tuckwell would become President of the Women’s Trade Union League and also sat on the executive committee of the International Association for Labour Legislation, founding the British section along with Sidney Webb. In 1897-1898 two women appeared as teachers who were both linked with Girton College, Cambridge. In Lent Term Miss E A MacArthur, Head Lecturer, Girton College, lectured on The Development of the Office of Justice of the Peace, with special reference to its Economic Functions. Ellen MacArthur took a first class honours in the Cambridge History Tripos in 1885 and taught history at Girton from 1886 becoming principal history teacher from 1896-1907. From 1907-1911 she was also Head of the History Department at Westfield College, standing in for another Girton College and LSE student, Caroline Skeel. MacArthur was an active supporter of women’s suffrage sitting on the executive committee of National Union of Women’s Suffrage Societies in 1910. Less well-known at the time was Lilian Tomn, then a research student at LSE, who gave three lectures on The Referendum. She had recently edited a translation of a book by Simon Deploige, The Referendum in Switzerland, about the use of the referendum in Swiss democracy. Lilian Tomn reappears in the Calendar as a Lecturer in Economic History in 1903. She married a fellow LSE student Charles Knowles and they had a son. At LSE this did not prevent her becoming the first female Professor of Economic History in the country in 1921. 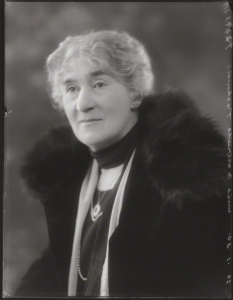 Lilian Knowles was an advocate of equal pay and employment rights and waged a long campaign with the LSE administration about her own pay and conditions. It is likely that Knowles and MacArthur were recommended to the LSE Director by the economic historian William Cunningham, an early supporter of Cambridge education for women and an intermittent occasional lecturer at LSE from 1895-1915. In 1898-1899 only Ellen MacArthur is listed as a teacher but in 1899-1900 two new names appeared. Miss A Hewart gave three lectures on Friday evenings at 7pm from 20 October. The Regulation of Industry in the North of England covered the growth of the textile trade during the sixteenth and seventeenth centuries and the imposition and enforcement of legislation. Sadly little is known of Beatrice Hewart who had been an undergraduate at Aberystwyth University and in 1898 published The Wages of London Vestry Employees in the Economic Journal, but she is also listed as the recipient of a research studentship. The second name was that of LSE founder Beatrice Webb, or as she was listed, Mrs Sidney Webb. For the next two years Thursdays at 5pm were Beatrice’s regular teaching slot. 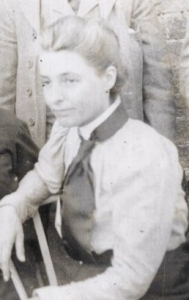 In 1898-1899 she taught on Problems of Trade Unionism and Factory Legislation and in 1899-1900 delivered a course on free competition in the labour market. Both courses were inspired by the Webbs’ research into the history of trade unionism and the text course books included their History of Trade Unionism and Industrial Democracy copies of which were placed in the Student Lending Library for the special use of students on the course. Beatrice who had received little formal education and certainly no degree must have been happy to lecture and prove her expertise. After the lecture Beatrice and Sidney would go up to the top floor flat occupied by Charlotte and Bernard Shaw for dinner. I enjoy lecturing every Thursday: the preparation of my lecture takes the best part of two mornings either in actual preparation or in resting so that my brain may be clear. The weekly class brings us into close connection with the work of the School: I see some half dozen students every week and talk over their work with them. In time these women were joined by others including Mrs HAL (Lettice) Fisher in Social Science and Administration and the Fabian Mabel Atkinson, lecturing on public administration. For many years women were only a small percentage of the teaching staff and often concentrated in particular departments including Economic History and Social Science and Administration. However LSE was progressive in allowing married women and mothers to continue to teach and undertake research. There are more stories to be told about these pioneering women.